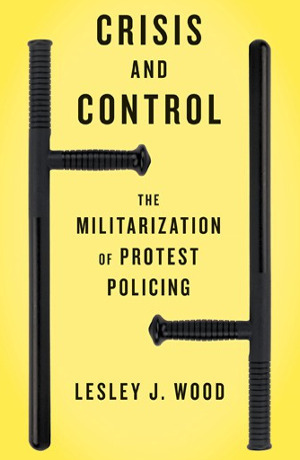 Lesley Wood’s recent book, Crisis and Control: The Militarization of Protest Policing (2014), locates these developments in a longer term perspective in relation to the spread of neoliberalism. Analyzing police agencies, strategies and practices from the mid-1990s to the present, she identifies a range of the structural and political forces that have led to the militarization of policing, particularly in North America, but also in trends that extend to Europe. This involves detailing a new matrix in the relations between the security, national police and defence apparatuses of the state with local police forces and the defence and security industries. Professional police associations and their various conferences and conventions have become important nodes for the spread of ‘best-practice policing’, in the form of kettling, barricading, infiltration and pre-emptive arrests, usage of new anti-protest weaponry, security screening, local intelligence-gathering capacities and the like. But also as sites where the case is made for an increase in police budgets, more capital intensification of policing and thus for accumulation by the ‘coercive’ industries (which define modern urbanism as much as the so-called ‘creative’ sector). In a period of sharpening inequality, permanent neoliberal austerity, and hard right forces gaining ground, so does the logic for a further militarization of policing, securitizing of cities, and curtailing and limiting protests. In her book, Wood seeks not only to map these developments in North America through time, but also to expose the contradictions in the new forms of policing in capitalist states, and begin to pose how social and anti-capitalist movements will have to respond to ‘demilitarize our relations’. Lesley Wood teaches sociology at York University, Toronto and Greg Albo teaches political science at York University. Greg Albo (GA): Your book is a powerful dissection of the ways that the policing of protests have been transformed over the last decade or so. When did you start noticing these shifts? What was it that made you want to take it up as a necessary research project for the anti-capitalist and social justice movements? Lesley J. Wood (LJW): I’ve been going to protests since I was in high school, starting with anti-death penalty, anti-apartheid, and anti-nuclear mobilizations. Most of these protests were permitted, routine and very large affairs. As a white woman, my experience with the police was limited and relatively predictable. However, when I attended protests against the Democratic Republican Convention in Chicago in 1996, I was struck by a different style of police action – there were masses of police surrounding the march, funnelling the crowd into a fenced pen where we were supposed to protest, organizers were grabbed and arrested, and organizing spaces were raided by hundreds of police. We had to flee and hide out in a warehouse in the South Side of Chicago. I saw this style again when I moved to New York City and became involved in anti-police brutality and Reclaim the Streets protests in 1998. The police would attempt to trap us on the sidewalk, using barricades and bikes; they would grab organizers in advance, and attempt mass arrests – any trust or predictability quickly dissolved. During this same period, the global justice movement emerged, and one could see both the style of protest transform, not just in the U.S. but in Canada. My earlier writing looked at this transformation of protest tactics, and the use of direct action, but activist friends pushed me to understand the other side of the puzzle, the simultaneous and interactive changes to protest policing. 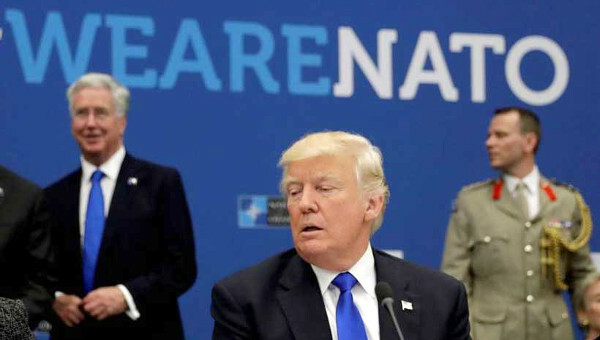 GA: Many of us in North America would identify the increase of coercion and police presence with the anti-globalization protests of the late 1990s, and in Canada with the Summit of the Americas protests in Quebec City. How do you date these trends in the militarization of policing and what are some of its main features and practices? LJW: Clearly, the pepper spraying of protesters at the Asian Pacific Economic Community (APEC) summit by the RCMP in 1997, and the tear gassing, pepper spraying and mass arrests at the WTO protests in Seattle in 1999 were turning points that justified a change in protest policing strategy. John Noakes and Pat Gillham cite a Philadelphia police official that argues that the Seattle protests were parallel to Pearl Harbor in the way that the changed protest policing. However, the roots of the shift go back to the use of armoured personnel carriers and SWAT teams in Black and Latino communities during the heyday of the War on Drugs, and the new less lethal weapons like pepper spray that began to be used by police in the mid-1990s after the LAPD beat Rodney King on camera – and people rioted. This militarized equipment was combined with an emphasis on spatial control by 2000, and then after 9/11, incorporated an emphasis on threat assessment and intelligence led policing. The new model of protest policing that emerged in the late 1990s has been called “strategic incapacitation,” “the Miami Model” or as the French translation of my book calls it, “neutralization.” It involves a logic of pre-emption and control – that evaluates protest as a potential threat. 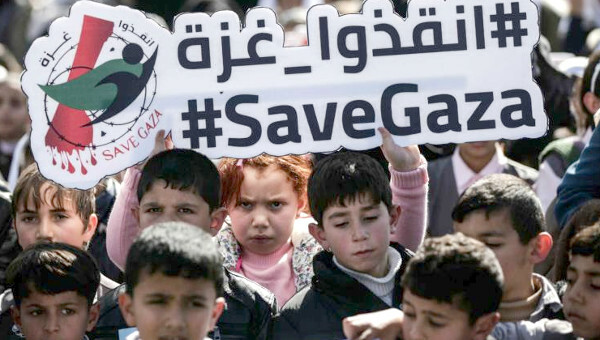 As a result it combines four elements, first an emphasis on intelligence gathering and threat assessments; second, spatial control; third, militarized units with less lethal weapons, and fourth, pre-emptive mass arrests. GA: A lot of your prior research has been on the history of social movements and protests. These movements for social justice have always had to confront the coercive apparatuses of the state, and often police violence, from setting up and defending picket lines to protesting war. What are some of the historical comparisons we need to keep in mind in understanding the current period? LJW: Police repression is clearly not new. Explicit repression also tends to increase when waves of protests accelerate. In the early part of the 20th century, the 1930s and in the late 1960s, many movements in North America and beyond were militant and disruptive, and in such periods police actions became extremely brutal as they attempted to maintain control. The period from the mid-1970s through the 1990s included a wide range of movements, but many of them were relatively routinized and cooperated with police permit processes and their attempts to manage and control the disruptiveness of protest. This ‘negotiated management’ or ‘liason policing’ model was still repressive, but it worked through negotiation, permits and management. As more disruptive movements arose, activists challenged this model, and the police responded with more explicit force. 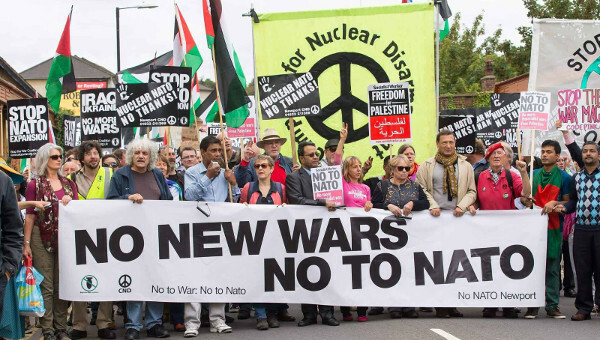 In the past fifteen years we’ve seen a sequence of short lived but significant waves of protest – the global justice movement, the anti-war movement, Occupy, Idle No More, the Quebec Student Movement and anti-austerity mobilizations and Black Lives Matter. These movements are all facing police using strategic incapacitation. GA: If maintaining social order is always one of the necessary functions that a capitalist state undertakes in defence of the ruling classes, the administrative organization of policing practices – what you call a ‘public order management system’ building on ideas from Bourdieu – is little studied or understood on the Left. What did you uncover and why did this lead you to insist on a new phase in the militarization of protest policing in Canada and North America? LJW: On the left we tend to talk about the police as either the armed, mindless thugs doing the bidding of the capitalists or some sort of omnipotent force strategically destroying our movements. These caricatures don’t help us to understand the shift in policing and variation amongst times and places. While recognizing that the police institution plays a unique role in defending the status quo, in other ways, they are much like other institutions. Like other institutions, police agencies and leaders struggle to defend their legitimacy, resources, and autonomy. When these are challenged by movements, politicians, the media or even other policing agencies or experts, they often work to reassert these things. What happened with the clashes between police and the global justice movement was a crisis in the legitimacy of the existing police strategy, and the development of a new one – using the products and practices being promoted by the most powerful actors in the field of policing. What I found, through looking at the policing literature, attending policing events and examining court transcripts and policy documents is that there is a shared logic of threat assessment being utilized within a field of policing that is increasingly transnational, integrated through professional policing associations like the International Association of Chiefs of Police. These networks bring together key police agencies like the NYPD, LAPD and the RCMP and security and defence corporations like TASER. Such opinion leaders can then promote ‘best practices’ and products which spread to other agencies facing criticism and seeking to shore up their profile as successful, effective police agencies. The legitimacy of this integrated field of professional policing and security facilitated the spread of this new model, particularly in the post-9/11 period which justified a push toward integration of policing with homeland security and threat assessment. strengthening the centralized command and control capacities of the coercive apparatuses of the state. Thus even the coercive branches of the state have followed, to varying degrees, the neoliberal norms of the ‘new public management’ animating state administration. Much like neoliberal deregulation of industry, this has not required less but more regulation. As well, police budgets, as well as those for security, the military, courts, prisons, and so forth, continue to go up. How do you locate the militarization of policing strategies of protests and in general in relation to these developments? LJW: Despite neoliberal austerity policies that attack other social spending, surveillance technologies and the privatization of security, police budgets continue to grow across Canada and in many other countries. Where police budgets face cuts – like in the UK and some areas of the U.S., often regional, federal or private security, intelligence and anti-terrorism initiatives take their place. There is massive growth in the security and defense industries and markets like less lethal weapons and surveillance technology. These shifts are due to the way that policing leaders have embraced the idea that through information technology and an emphasis on ‘measurable results’, they can predict and pre-empt criminal activity. The drive to show the efficiency and effectiveness of this social control expands the reach of the police and justifies their increasing budgets and powers. Political leaders and the media feed into this with law and order agendas that allow a very narrow idea of ‘security’ to trump all other social goods. This works at the level of anti-terrorism initiatives and community policing. Police forces are replacing social services in many low income neighbourhoods. Instead of social workers in schools, we see police officers. Instead of quality community housing, youth centres and access to public space, we see ‘hot spot’ policing initiatives. Clearly this logic goes far beyond protest policing, and most directly affects racialized communities. Some of these issues have been highlighted by the Black Lives Matter movement. GA: In many parts of the world as well as North America, the hard right has been gaining political ground, including political office. This new hard right has varied lineages and affinities to fascism. It is hard not to see the current period of permanent austerity as associated with an authoritarian phase of neoliberalism. In the recent Socialist Register on the the Politics of the Right, you have an essay which situates policing in this new political context. What are your thoughts on how the militarization of policing today figures into these developments? LJW: There is clearly less space for dissent in a society that is driven by a demand for ‘total security’ in the most efficient way possible. 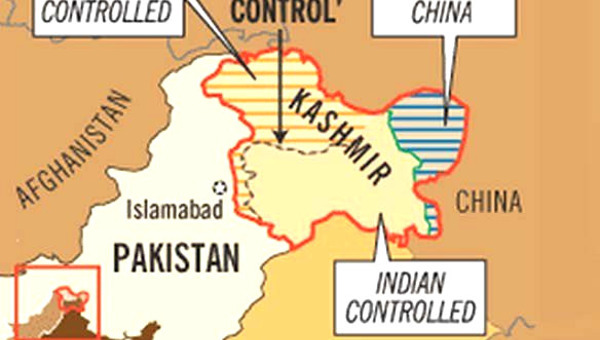 Communities and their resistance to this authoritarianism are evaluated in terms of threat. Clearly histories of white supremacy, xenophobia and colonialism shape those criteria. We can see this in the way that indigenous people fighting for their lands are coded as terrorists, Black communities are criminalized, or the way that immigrants are represented as the sources of violence. An easy example of the way this works can be seen in the photo many people are sharing on social media. 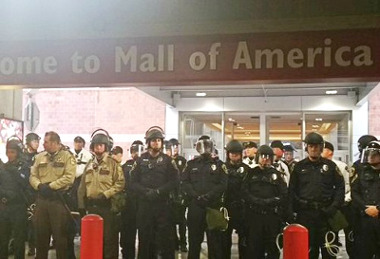 It shows the riot police surrounding the Black Lives Matter rally at the Mall of America, and the commentary beside it points out how this police strategy is radically different to the gentle way police are handling the Oregon militia protests. GA: In conclusion, what are the strategic insights you want to convey about the struggle against the militarization of policing and the cautions we need to take up in organizing mass protests and long-term mobilization and building alliances against neoliberalism? LJW: I hope that by understanding the police logic a little better we can pay more attention to the ways that the resources, legitimacy and autonomy of the police are not fixed or guaranteed. In various cities, the efforts of grassroots movements and legal challenges have limited the adoption of TASERs, Long Range Acoustic Devices, and challenged barricading practices. Community opposition can limit the expansion of the police into new sites and tasks, and can challenge increases in police power and police budgets. Lesley Wood teaches sociology at York University, Toronto.